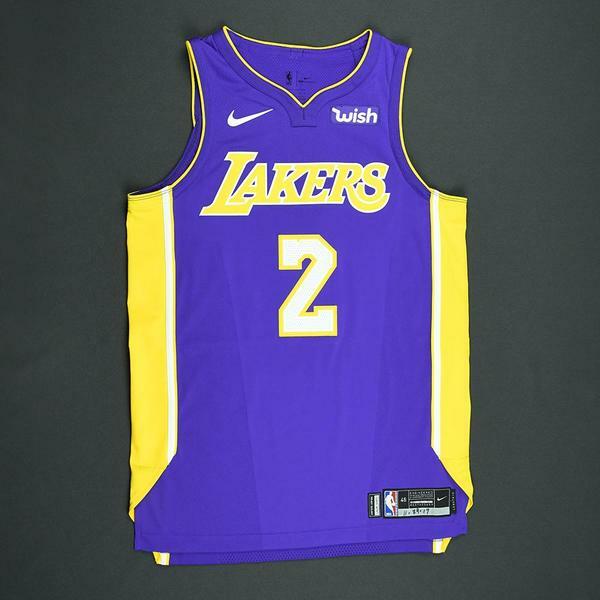 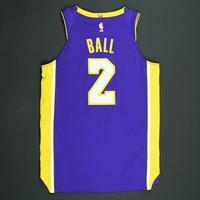 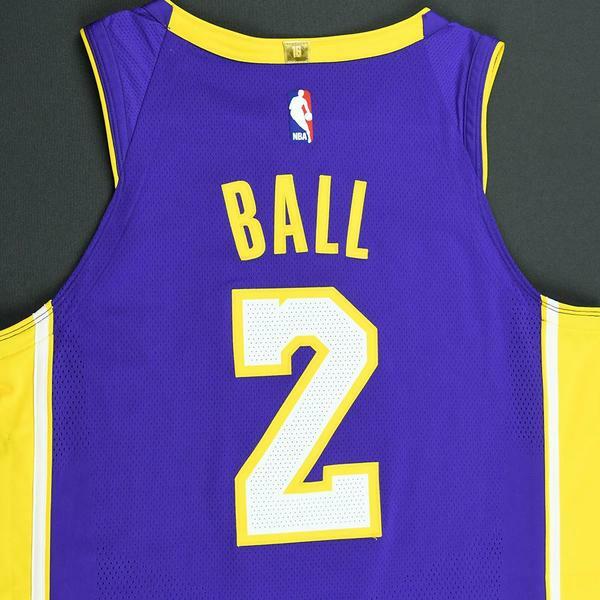 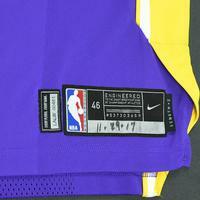 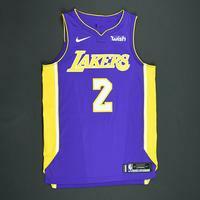 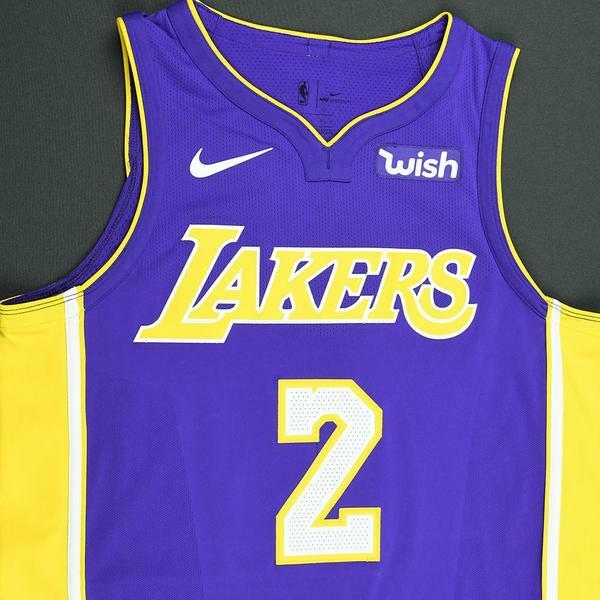 Ball wore this jersey during the Lakers' 127-123 loss to the Golden State Warriors on November 28,2017 at STAPLES Center in Los Angeles, CA. He played 43 minutes and registered 15 points with 10 assists, 2 rebounds and 1 steal. "11-29-17"" has been handwritten on the jock tag.